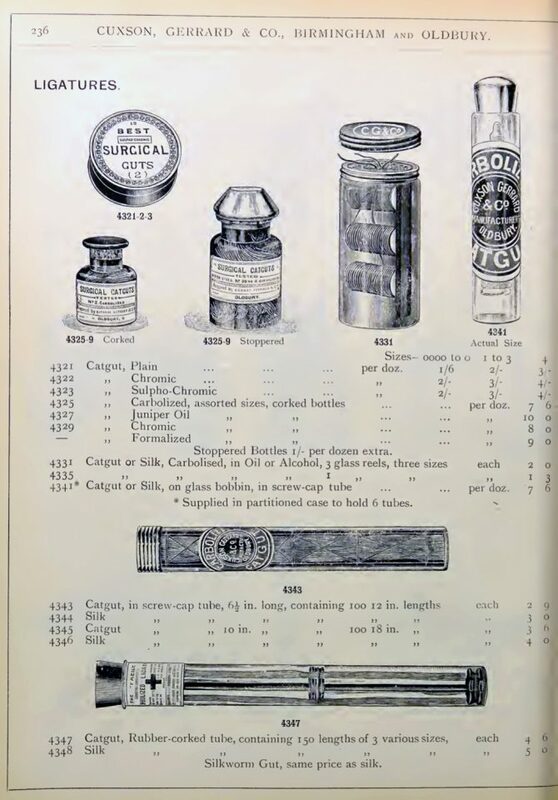 The Grace’s Guide to British Industrial History tells us that the company was founded when Mr. Gibbs and Mr. Cuxson set up as wholesalers of medical supplies to doctors and pharmacies in Birmingham area. 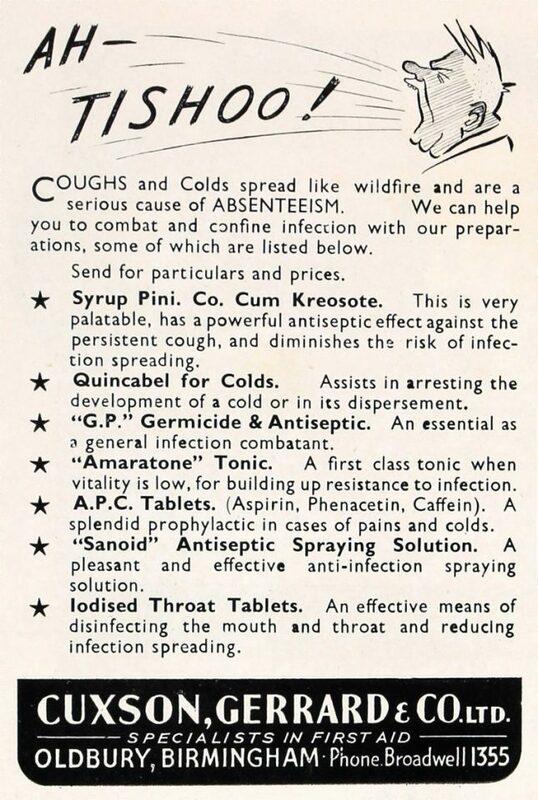 Mr. Gerrard joined the company as a sleeping partner and Mr. Gibbs left the firm when the other partners discovered he was making pill boxes next door. 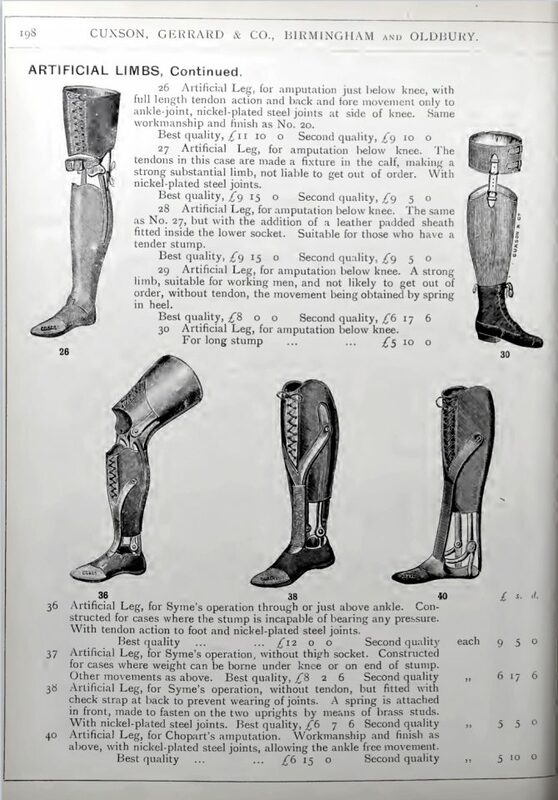 Their 1903 catalogue (nearly 400 pages long) presents a bewildering array of products, from specialist surgical instruments and hospital requisites to dentistry items, artificial limbs, splints and trusses, tampons and corsets. 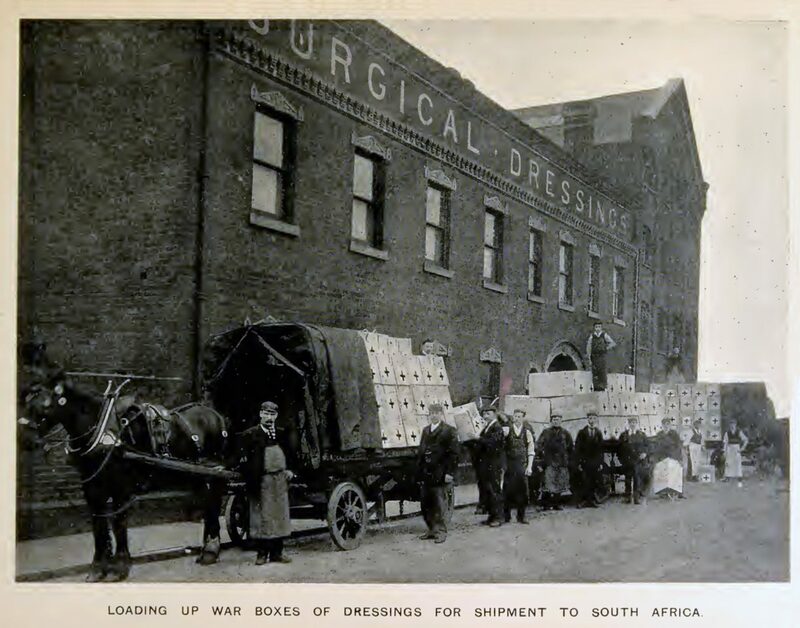 As Mr. Gerrard became more active in the firm he began to build up the company's surgical dressings business. 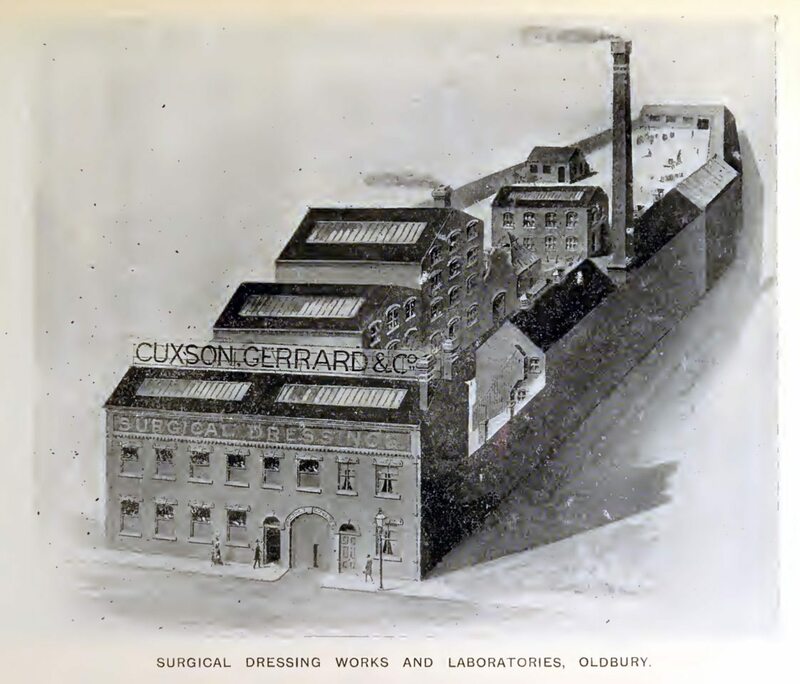 Cuxson & Gerrard building, 1903. 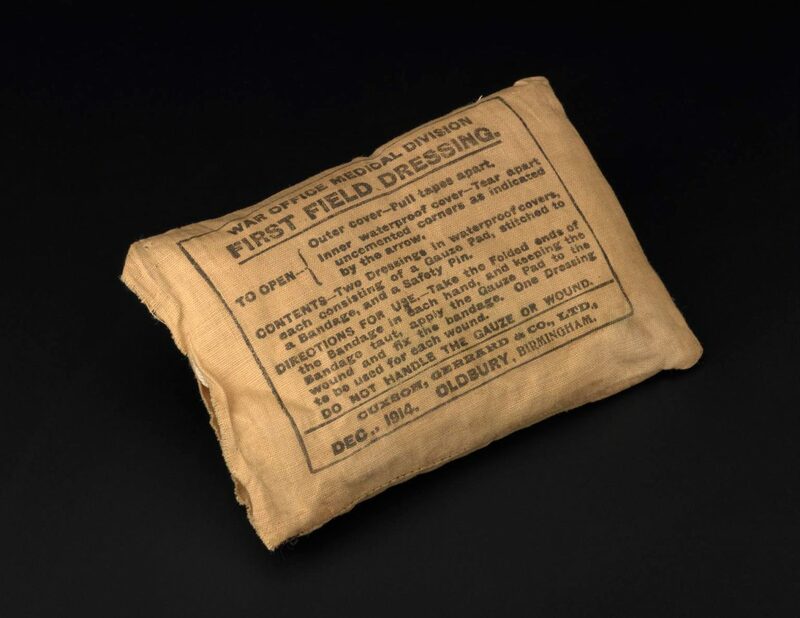 A surgical field dressing from 1914, in the collection of the Science Museum. 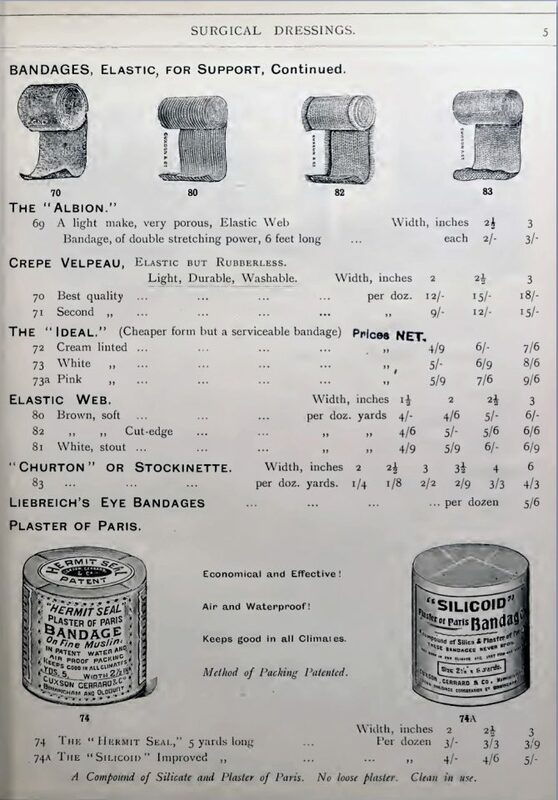 From the Cuxson & Gerrard 1903 catalogue: Price List of Antiseptic Dressings, Instruments and Appliances. Display from Oldbury and Langley Local History Society. 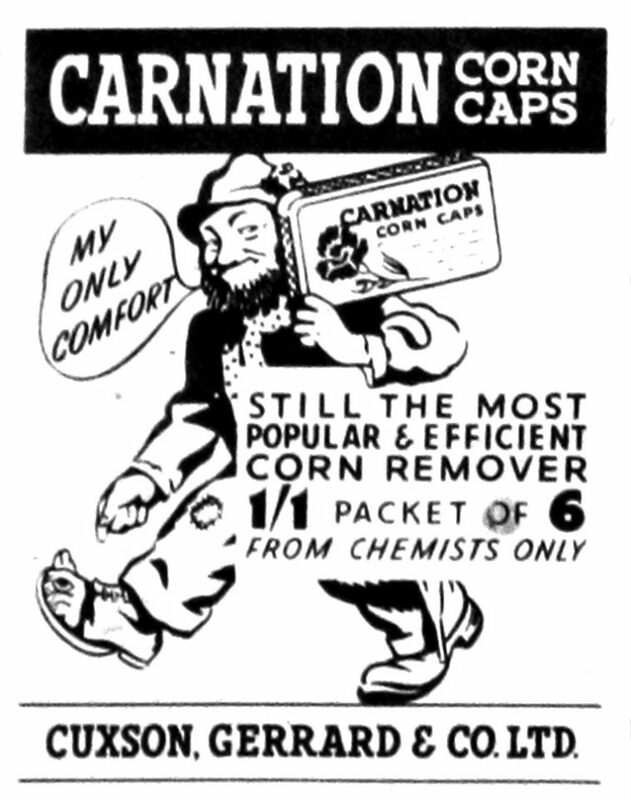 Then in 1922 Mr. Gerrard invented the corn cap, naming it ‘Carnation’, which became the company's most famous brand (and which is still sold today). 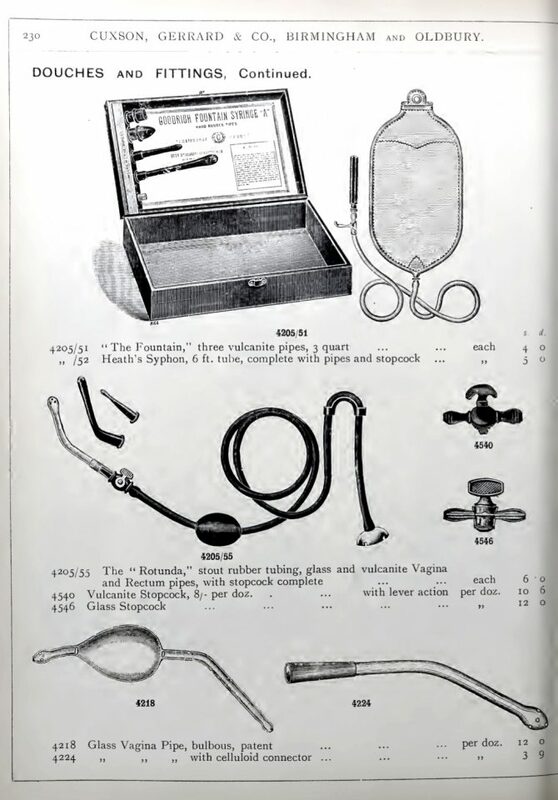 The company began to expanded their products – toiletries and soaps, respirators, tourniquets, trusses, sanitary towels and dental rolls, as well as with tablets and pastilles. At the British Industries Fair of 1937 they exhibited a Model Ambulance Room, First Aid Cases, Stretchers, Surgical Dressings, Nucklets (for injuries to knuckles), Kromelets (for ulcers caused by chrome poisoning, an industrial disease), Phenodine Lotion, Adaptoplast and Sanoplast, all for minor injuries. 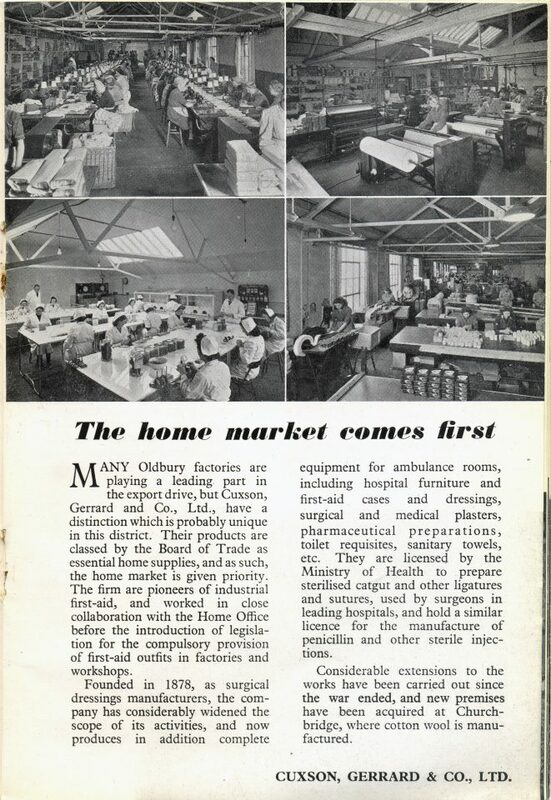 Page from 1949 brochure 'Made in Oldbury'. 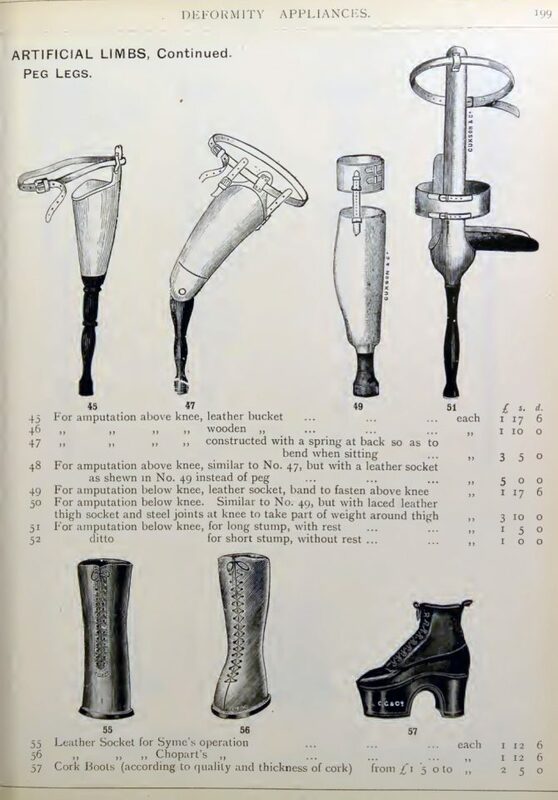 The ‘Made in Oldbury’ project investigated unique archive materials in Sandwell in relation to our local industrial heritage, an integral part in shaping our culture. 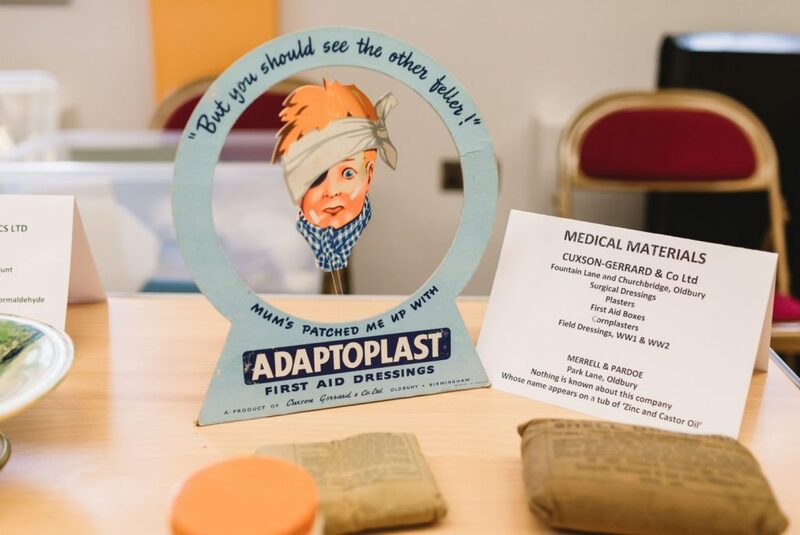 It engaged with individuals and groups in areas of Oldbury and Langley to explore the personal impact of the industrial legacies within living memory.